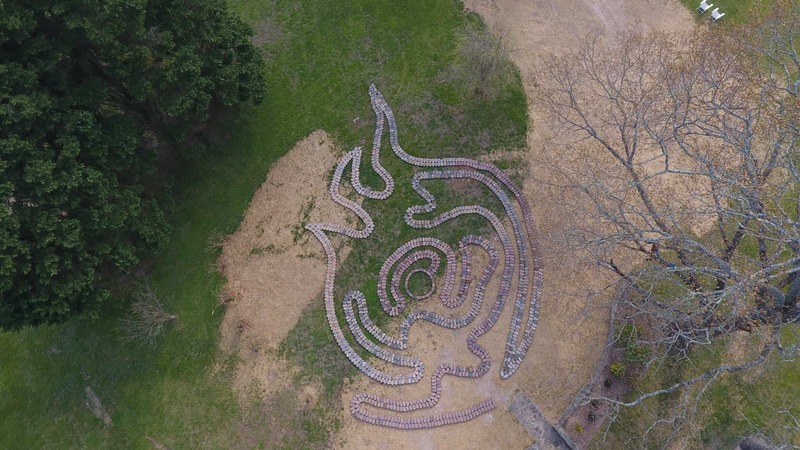 Construction begins on a new walking labyrinth in the garden at The Horse Shoe Farm outside Asheville. 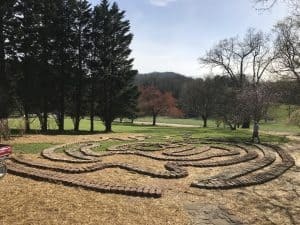 Built on the grounds adjacent to The Magnolia Manor at The Horse Shoe Farm, the labyrinth is designed as a meditative journey to facilitate transmutation and healing. Non-traditional in form, the labyrinth snakes back and forth across the garden, until you reach the center. 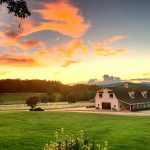 Once arriving upon the center, let the answers from your spirt collide seamlessly with one of the most stunning views on the property. 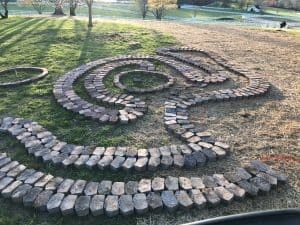 Over 900 linear feet of bricks create the path that is the journey of the labyrinth. The bricks are repurposed after being scattered all over the property for decades in a true example of recycling goods and energy.